Although many homeowners do not prefer pellet stoves because they require electricity to work, installing one in your home still comes with many benefits. 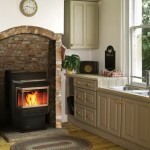 Pellet stoves are very energy-efficient. Energy bills are getting higher and higher across the U.S., and many homeowners are looking for alternative ways to heat their homes. One of the best things about this type of stove is that the pellets are low-moisture and tightly condensed which means that more heat is produced. What’s more, pellets are inexpensive, and you can purchase them as you need them instead of investing in a cord of firewood that may or may not be used. They are easy and safe to use. 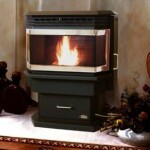 Compared to other stoves, pellet stoves are the easiest to operate. In fact, the hardest part is figuring out where to install it. Furthermore, you will not have to worry about how close it is to a wall as this type of stove is hardly ever a fire hazard. Worried about your carbon footprint? Pellet stoves are good for the environment. Because the pellets are low-moisture and tightly condensed, less harmful gases are discharged. Additionally, the pellets themselves are not necessarily derived straight from wood. They are a combination of leftover wood from sawmills and the tops of trees that were cut down in forests. There is no denying that a pellet stove is a great choice for those seeking an affordable and clean-burning way to heat their homes during the coldest days of winter. If you are looking to buy pellet stoves in West Hartford, CT or live in any other surrounding area, we have plenty of options available and will get one, two, or however many you want to be installed in your home quickly!